If you want to put your possessions in self-storage it’s a good idea to insure them. Beware of self- storage companies who insist you take out their insurance. Many companies hike up the cost of cover and you could find yourself paying too much. Store-Safe don’t offer insurance. This gives our customers the freedom to select a policy that suits their requirements and their budget. Don’t make the mistake of assuming that you’re covered by your home contents policy. It is true that many insurers will give you cover away from home, but many have financial limitations or specifically exclude self-storage. You can get tailor made insurance policies that are designed for possessions held in self-storage. Look for an insurer that will cover you whilst your possessions are in transit as well as in storage. This will cover you if any of your items are damaged by removers or if you were involved in an accident whilst on the road. Some policies will quote an excess. This is a payment you’ll need to make if you have to make a claim before your insurance company pays. It’s designed to lower the cost of your insurance. For example if you have an excess of £200 and you make a claim for £1000 pounds, you’ll actually get back £800. Some companies don’t charge an excess so if you don’t want to have to pay anything towards your claim, find an insurer with a no excess policy. Most policies will cover you for theft, fire, flood, storm, vandalism and damage caused by escaped liquids such as oil. If you want protection against damage caused by vermin or moths you may have to specifically ask. 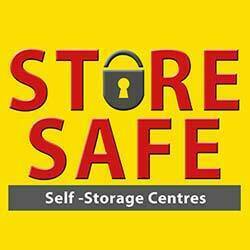 By using a self-storage company like Store-Safe you’ll be getting a space that’s kept clean and dry all year round. Finally, insure yourself for the realistic costs of replacing your possessions. Don’t be tempted to under-insure. It means that if something catastrophic happens like a gas explosion or a fire you’ll be out of pocket. Store-Safe pride themselves on the care and maintenance of their self-storage units. If you would like to know more about their services, check our web site and fill out the contact form, or give us a call on 01782 785 370 for more information.